Special Small Group Tour of Maya Archaeological Sites in the Chiapas Rainforest at Palenque, Bonampak and Yaxchilan and fascinating La Venta Olmec Museum. Your guide on this special tour is a renowned specialist in the ancient Maya World, Alfonso Cleveland Morales. Alfonso is the Director of the Proyecto Grupo de las Cruces, an archaeological project excavating in the Cross Group of Palenque since 1997. He has a Master's degree from the Institute of Latin American Studies at the University of Texas at Austin. He has 35 years of experience guiding at the ruins of Palenque and elsewhere in the Maya World including Tikal and Copan. 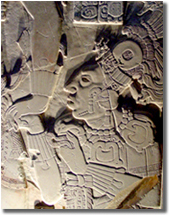 He was recently featured in two History Channel programs about Palenque -- the "Lost World" series. March 23: Your adventure begins with your flight into Villahermosa (the nearest international airport to Palenque, which is 2.5 hours away). A driver will be waiting when you arrive at the airport to take you to the very comfortable Hyatt Regency Hotel Villahermosa where you'll overnight. 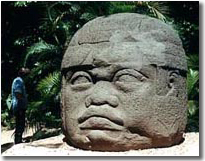 March 24: This morning we visit the La Venta Olmec Museum. There are 28 Olmec carvings at this beautiful outdoor museum with interesting zoo and lake. Each piece was set carefully for optimum viewing with benches placed for those wishing to meditate or ponder the huge and amazingly well crafted Olmec heads, intricate altars, and intriguing stele and statues. Based on the earliest long count date inscriptions found at sites that combine both Olmec and Maya influences many scholars theorize that it was the Olmec who invented the long count calendar and initiated the Maya into the understanding of this system of calculating time. We will also visit the Carlos Pellicer Museum of Anthropology. Then to Palenque. The town of Palenque is 5 miles from the archaeological site. Your hotel is nestled in the forested "La Canada" area within walking distance of downtown. You'll have free time to relax in the lush jungle rainforest or explore the sights, sounds and cuisines of Palenque. Enjoy a refreshment by the pool and upload your photos with the hotel's surprisingly fast wireless connection. Overnight Maya Tulipanes Hotel Palenque. March 25: Today we journey to Yaxchilan and Bonampak. 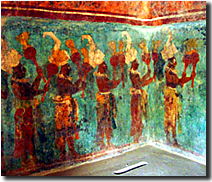 First we go to Bonampak, home of famous Mayan murals. Their ancient colors remain clear and vital, making them an excellent representation of Mayan art. Bonampak was a city of the Maya Early Classic period peaking from 200 to 400 A.D. Bonampak also has some very well preserved stele that detail important historical moments. The great plaza is astounding in its sheer mass and one of the largest in the region, measuring over 100 yards. 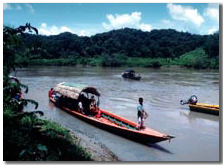 Then we travel by boat down the mighty Usumacinta River to the mysterious ancient Maya site of Yaxchilan. This incredible boat ride through the rainforest with its huge trees and abundant wildlife makes you feel like you are in an Indiana Jones movie! The tremendous archaeological site of Yaxchilan, situated on the riverbanks, rises in levels to temples with breathtaking views of the rainforest stretching far into Guatemala. You'll hear stories of ancient Mayan Queens who exerted great power and about the modern Lacandon Indians (of whom there are only 450 people remaining) who still use Yaxchilan as a place of worship. See howler monkeys and many exotic birds as you roam this well organized ancient Maya city. March 26: Today we spend the day visiting the spectacular ruins of Palenque. A UNESCO historical monument, Palenque is considered a world treasure. Ancient structures rise out of the lush rainforest on multiple terraces set against the mountains, many of them built by the great King Pacal in the 6th & 7th centuries AD. There are many major buildings to explore and new buildings are now being uncovered and studied. 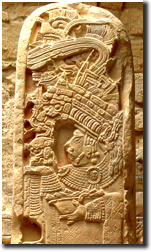 Many wonderful examples of Maya art and history are carved into the buildings' facades, some of them the most famous depictions from the ancient Maya world. Palenque is exciting because of the vast amounts of information that has been painstakingly brought to light by archeologists over the years. 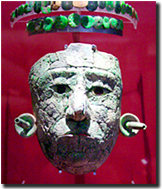 We'll also visit the Palenque archaeological museum with its extensive collection of jade masks, well preserved carvings and stele and incense burners. Overnight Maya Tulipanes. March 27: Morning free time to explore Palenque on your own. Optional afternoon visit of the beautiful Misol Ha waterfalls. End of day we return to Villahermosa. Overnight Hyatt Regency Hotel Villahermosa. March 28: Transfer to the airport for your departing flight. This special tour is limited to 14 participants. Cost of this special 5 night small group tour is $1,250 per person double occupancy. Single hotel supplement add $190 per person. Cost of this special 5 night small group tour is $1,250 per person (double occupancy). Single hotel supplement add $190 per person. This tour is limited to 14 participants. Tour does not include: Air tickets, most meals. Please go to our Mayamap page for Palenque's location. Getting to and From Palenque. From some cities, flights into Villahermosa can be fairly expensive. Contact us about less expensive flight options. Merida, Tulum, Coba & More! Or outside the U.S. (1)505-255-2279, Or e-mail us [email protected]. All photographs and text Copyright 2000-2019 by MayaSites Travel Services. All rights reserved.